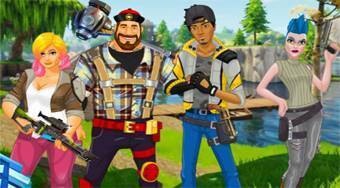 Do you like Fortnite Dress Up Royale? Share it with your friends. Choose a quadruple of popular characters from the Fortnite computer game and take care of their perfect looks.